Photoshop Express by Adobe got an update yesterday. For those who were already using this app before, there aren’t substantial differences in the new version. For the others, this could be a good starting point to spend a few words about it. Where do you start writing about anything with the Photoshop label on it without making comparisons with THE Photoshop? It’s almost impossible. There is a risk that I will end writing something totally superfluous. Does it even make sense to review Photoshop Express? I guess not. But as there shouldn’t be a precise reason to talk about an app instead of another, bear with me, for even if it’s pointless in this case I’ll make an exception. Share on Facebook, TwitPic or Photoshop.com (requires Photoshop.com account). PS Express will probably displease those that associate the name Photoshop with a very sophisticated tool of graphics editing. The Express version for iPhone, iPod Touch and iPad has little in common with the full-fledged software by Adobe. You can use the camera or photos in your camera roll. You can immediately upload or you can choose to edit the pictures, by cropping, rotating or fixing their orientation, by altering color properties, by applying filters, effects and frames. However, there is actually very little you can do with Photoshop Express, apart from very basic adjustments to your photo. The effects, for instance, are few, very generic and not customizable. The frames are also not that varied and most have that conventional comic border look that not anybody will find appealing. You can adjust parameters like exposure, tint and contrast by swiping your finger on the screen, but personally I don’t find the app’s way of handling the whole process very user-friendly overall. For example, if you want to apply one of the filters, you have to imagine a fullscreen slider; if you raise your finger from the screen’s surface, the app will remember the value of the filter applied in relation to the position your finger reached on the screen; if you want to make a slight adjustment without starting over, you have to reposition your finger more or less as it was before. Even for quick adjustments, this is not the most user-friendly approach, in my opinion. But again, even if there are other apps doing the same in a more satisfactory way, many will object that differently from them Photoshop Express is free thus one shouldn’t really complain. The bottom line is: it’s true it’s Photoshop and it’s free, but from the photo editing colossus we honestly could have expected something more. If you want the closest thing to the actual Photoshop on the iPhone, this is not the right choice for you. 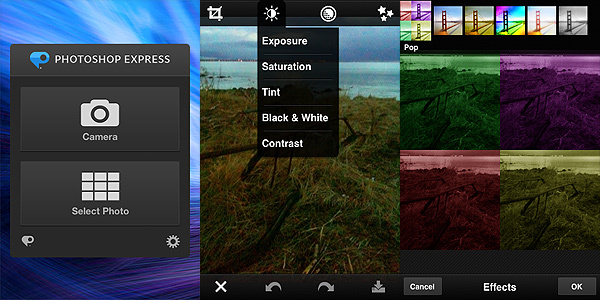 Maybe in combination with other apps or for very basic and quick editing, Photoshop Express still has some use. As a PS user, this app was a huge letdown. There are other apps as the good Tiffen one or Iris that do what Adobe should be doing. True it’s free, but I don’t really use it. Absolutely agreed on the overall assessment. It does have one feature I like that I haven’t found in other apps as yet – the Tint adjustment. This doesn’t simply tweak the colours of a photo in a particular direction, it converts the photo to monochrome. And for this the ‘slide your finger left and right’ works well, you can quickly decide what colour suits you best. I use this app sometimes. But I don’t like the borders much. As a power-up it works fine, but on its own it’s almost useless. Jonny, I thought other apps had the tint feature? 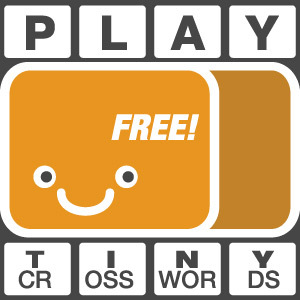 I think among the free apps Mill’s has something like that? I don’t know, maybe we are not talking about the same thing.